An International family film (70 min) about a ballet between 53 little red cars for the disabled and 70 dancers from the Dutch National Ballet. For many, these little cars are only seen as an annoyance driven by an anonymous group of people mostly unseen. For the Canta drivers themselves, the Canta is a symbol and means to freedom and independence. 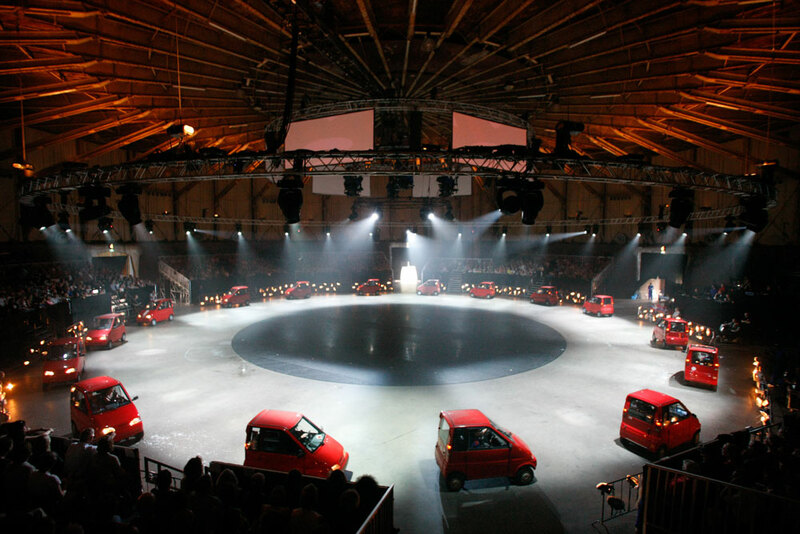 For filmmaker Maartje Nevejan these little cars were an inspiration. The Dutch National Ballet stepped into her dream of creating a Canta ballet with 53 handicapped people and their cars. Thus enabling us to connect bodies in top condition and disabled ones, man and machine, high culture and popular culture, and people in all corners of society. When the performance is getting nearer, tensions and fatigue play their role, someone even dies. But everybody wants to make this crazy and impossible dream reality and in the end they do. What started as a dream became reality; Thanx to choreographer Ernst Meisner, composer Robin Rimbaud aka Scanner, production company Viewpoint , and most of all, the 123 performers, the feelgood film The Canta dances takes you on a journey to discover that limitations give rise to mastery. The National Canta Ballet was aired in 5 episodes and awarded as best TV of the spring season 2012. The project includes a book, a tv-series, a registration of the ballet, live performances and a radio making off documentary. Through GPS tracking even poeople who were too sick to make the performance could make a walz in their own neighboorhood. An International version of 80 minutes will be made in 2013.